Online writing has certain aspects that make it unique in a sense. It is different than, say, academic essay writing. College professors hate to grade essays full of grammatical, spelling, or language errors. Academic writing necessitates focused editing and proofreading to ensure the text is accurate, clear, and concise. And that it “flows.” Online writing, on the other hand, does allow you to make deliberate mistakes. Yes, you heard us right. Break a few rules if you need to. But you should know what you are doing. Your intentional mistakes should achieve effectiveness. Successful bloggers can sometimes misspell a word or even create “new” words to make their writing interesting and compelling. Today’s reader is smart. They notice mistakes quickly and take action. They are not going to remain on your page a second longer if they ever feel your credibility is questionable. Take your time. Always remember this: this is about your business. It is about the image you project as a brand. So, gather relevant information. Ensure you get the names of people and places right, and that dates are accurate. No one has time for junk content. One more thing — your spelling and grammar need to perfect. Online writing may not hold itself to a high standard when it comes to evidence and sources. However, you must avoid making claims without backing them with facts and verifiable evidence. Citations lend credibility to your work. While at it, be sure to use reputable websites and other sources containing accurate and up-to-date information. Your site is up against billions of others. Desist from publishing generic content everyone has read everywhere else. Such material ensures you remain invisible online. And that your ranking in the search results stays low and frustrating. Small things matter. Especially in marketing content writing. Items such as headlines, titles, and footnotes. Forgetting such details when proofreading your work is easy. Do not assume anything. Research until you get the information you need. Visitors want to feel you know your subject and that you have examined it in its entirety. Well-written headlines and subtitles increase your posts’ scannability. No one reads these days, after all. The best writers work fast and do not pay much attention to all those red, squiggly lines on their MS Word document. They focus on getting down their ideas and thoughts onto the page. But certain mistakes habitually show up all the time you are writing. Experienced writers are usually aware of such mistakes and correct them quickly and naturally as they type. These two processes require focused concentration. It is not a good idea to handle them after a busy day at work. 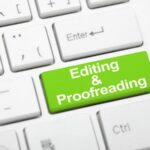 Most people find that editing or proofreading early in the morning produces the best results. At that time, you are energetic and fresh. There is little distraction, and you are alert. Mornings are a great time to give your work the detailed attention it deserves. You want to ensure that the images, videos, and other content are available for use. Copyright laws exist for a reason. These days you can create powerful videos from scratch without breaking the bank. You can also hire a freelancer to do it for you. There are a plethora sites that contain high-quality photos you can use for free. That said, you are much better off shooting your own or having an experienced photographer do it for you. The thing is you must desist from using other people’s content without permission. Your reputation matters. Besides, you do not want to pay hefty fines for something avoidable. Avoid all distractions. You need all the concentration you can muster while writing and editing. Block out social media. And close all pages you are not using for your research. Turn off your phone if you need to. Turn off your TV and shut out all kinds of noise. You want to focus all your mental powers and creativity on the task at hand. Some of the world’s greatest inventions are the result of the efforts of “crazy” scientists and artists who worked insane hours in deliberate isolation. Shut the world out, and manifest your creative genius. These are two of the most critical activities that affect the quality of the work you churn out. And they are different. So, understand how each helps you achieve your copywriting goals. Editing helps you verify the accuracy of every piece of information. It focuses on sentence structure to clarify the overall meaning of your blog post. It gets the language right. Proofreading, on the other hand, takes care of errors related to grammar, punctuation, spelling, and formatting. It is the process that ensures your piece is ready for publishing on your site. You need to structure and format your marketing content properly. These two aspects help the editing process a lot. Your writing needs to make sense. It needs to be as engaging as possible. Isn’t the purpose of all writing to communicate and connect? One trick that works all the time is to read your sentences aloud. If any of them does not sound right, it most probably won’t read right. High readability encourages your visitor to consume your content. Additionally, enhanced readability helps your page’s search engine optimization. Before you hit the “publish” button, ensure your work is perfect. You are not going to revise your work just once and quickly publish it. Excellent writing is more about rewriting than it is about writing! If you rush through your post, you are probably going to miss a few pesky mistakes. And that can affect your credibility. Subject your content to several rounds of reviews if you want your reader to spend more time on your site. Edit your piece for structure and coherence. Also, you need to establish an element of consistency into your work. There is no specific way to do this, though. It is best to do what you like and remain consistent throughout the document. For example, you want to bold all your headlines, not some of them. If you love bullet points and dashes, use them with consistency. Some people use their MS Word’s spell check and stop there. As a promising blogger, you want to go beyond that. 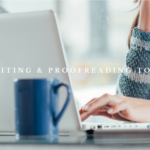 Consider getting the best proofreading tools you can find. But no software solution or computer program works like a well-trained, experienced pair of human eyes. English is not an easy language, and even native speakers struggle with writing it. You do not expect a robotic tool to understand all the conventions and nuances of English. It does make sense to have a professional editor or proofreader check your work before you publish it. Editing ensures your story has clarity and is highly readable. At this point, you have already substantially edited your work. The language and content are appropriate for your intended audience. Now, it is time to read each sentence as though someone else wrote them. Remove any grammatical, spelling, and punctuation errors that escaped the editing process. You do not want to handle the entire writing process in one sitting. It is advisable to take breaks between tasks. Take a short walk. Listen to some soothing music. Make yourself a cup of coffee and grab a snack. Do whatever takes you away from the activity at hand for some time. Doing that allows your mind to rest and to recharge. Taking a break is like rewarding yourself. It helps you associate writing with happy experiences. When you resume, you will be able to look at your work with a fresh and re-energized pair of eyes that spot every mistake. Let your creativity lose. Research. Avoid using content that can cause problems down the road. Always use credible sources. Edit, edit, edit. Finally, proofread. Get some rest between tasks.